The University of East Anglia was founded in 1963 and is located in Norwich, England. 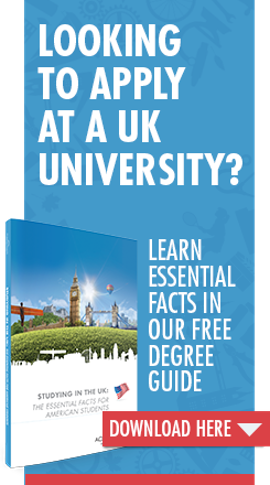 It has a very strong reputation, particularly in Creative Writing and the Environmental Sciences; and it is currently ranked in the UK top 20 and within the top 1% of universities in the world. UEA also ranks consistently in the top 10 for Student Satisfaction in the National Student Survey. It is a campus university, with excellent on campus dining, accommodation and the world class Sainsbury Center for Visual Arts; an art museum with teaching and research facilities. Located in the heart of campus are cafes and restaurants, a Barclays bank branch, a Waterstones bookshop, the Student Union Building, the LCR (a large music and entertainment venue), Careers Central, and the Dean of Students (a student service/support centre). Accommodation is scattered around the campus, each providing students with a shared kitchen and many single or double occupancy rooms; international students are guaranteed on campus accommodation. Norwich is located just two hours from London by train, 30 minutes away from stunning beaches on the Norfolk coast, and 40 minutes by plane to Amsterdam. Norwich was voted one of the best small cities in the world by The Times Good University Guide, and has a thriving arts community and a renowned music and cultural scene. Additionally, Norwich has been ranked as one of the premier shopping cities in the UK, offering a range of shops from independent boutiques to high street retailers such as Apple and Hollister. If you would like to find out more about studying at the University of East Anglia, please contact one of our Across the Pond Advisors. Areas of expertise: Art History, Creative Writing, Drama, Environment Sciences, International Development, Media, Pharmacy. Across The Pond has partnered with eight of its partner universities to offer Across The Pond students ONLY the chance to win a scholarship. This isn’t your typical scholarship application, however. While we are interested in understanding your financial need, we are more interested in your excitement about studying in the UK. In other words, this is a fun application! Show us why you deserve this scholarship in a way that uniquely reflects you as a student. Share your enthusiasm and excitement for this coming adventure in a creative, entertaining way. During what can be a very intimidating experience, Across the Pond really helps to ease your nerves.